REPORT: Mueller Grills Witnesses On Whether Roger Stone Coordinated Wikileaks With Trump Campaign - Joe.My.God. 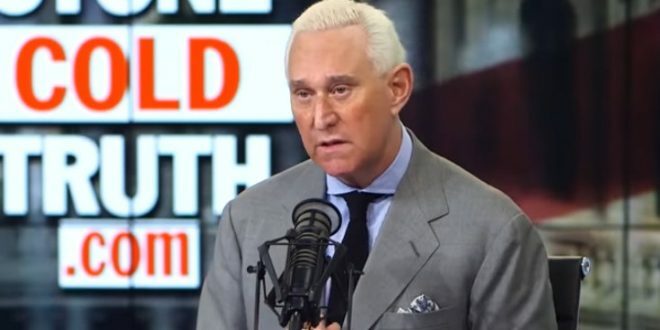 The special counsel investigation is pressing witnesses about longtime Trump ally Roger Stone’s private interactions with senior campaign officials and whether he had knowledge of politically explosive Democratic emails that were released in October 2016, according to people familiar with the probe. As part of his investigation into Russia’s interference in the 2016 campaign, special counsel Robert S. Mueller III appears to be focused on the question of whether WikiLeaks coordinated its activities with Stone and the campaign, including the group’s timing, the people said. Stone and WikiLeaks have adamantly denied being in contact. On Friday, Mueller’s team questioned Stephen K. Bannon, President Trump’s former chief strategist, about claims Stone is said to have made privately about WikiLeaks before the group released emails that prosecutors say were hacked by Russian operatives, according to people familiar with the session.